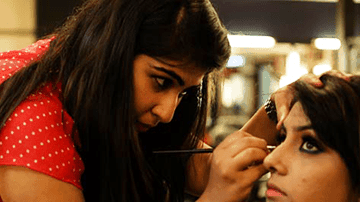 Want to become Makeup Artist ? Select from our best Makeup Artist training courses, apply and get trained by professional makeup instructors. Make-up artistry is a highly competitive industry. A make-up artist is very much involved in the most important and exciting events of people’s lives. In today’s fashionable time there is a huge demand of professional makeup artists with immense creativity. 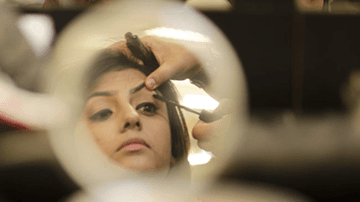 The Fashion Media Make-up courses is designed to cover all the aspects of the fashion industry from make-up to high-fashion hair styling. The program offers theoretical and practical training. Basic Make-up Course will help you master your own make-up skill by practicing on yourself to enhance your beautiful features, disguise minor faults in your appearance, or express yourself creatively. This course will give you the platform to become a Professional Makeup Artist by learning from the best in the Beauty Industry. 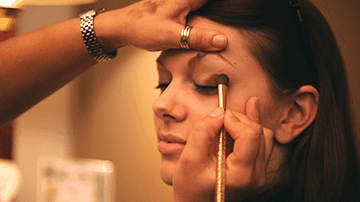 Our state-of-the-art Makeup Classes will walk you through everything that goes into establishing a successful career. Someone has rightly pointed out that “It’s beauty that captures your attention; personality which captures your heart.” In today’s world, everyone wants to stay ahead, everyone needs that oozing confidence, and everyone yearns for that good looks.